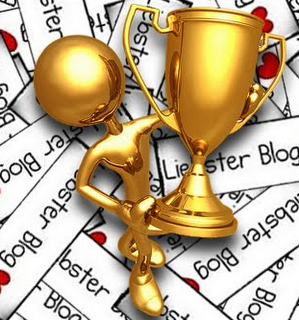 I immediately called Hubby yesterday when I received the nomination for the Liebster Award. It was a bright moment in my day and I have Bree at Thought Provoking Moments to thank for the nomination. Bree is always quick to leave warm and thoughtful comments and it was great to learn a little more about her upon receiving the Liebster Award. What’s your biggest pet peeve? People who are not punctual and who don’t apologize for when they are late. Throughout your journeys, what would you say is the most important lesson you’ve learned thus far? “Patience is a virtue.” I’ll say that again “Patience is a virtue.” I’m still learning this lesson. What’s your favorite childhood memory? I have many, but one that I remember vividly is when I had the chickenpox in the 4th grade (I felt fine but couldn’t go to school since I was still contagious) and my Mom and I spent the whole day together. She took me to Artic Circle for lunch and I got to have a fun day with her playing hookey. What’s your biggest regret? Not reaching out to a dear family friend/neighbor when she was hurting and drinking to ease her sorrow. She passed away right before our wedding and I think about her frequently. If there were anything about your life experiences you could change, what would they be and why? Eeek, this is a loaded question for me. Of course, at this point, I would change our fertility situation and I don’t think I would have taken the long way around like I did (seeing a naturopath, my regular OB, etc). But, I don’t think I would be the person I am today if it weren’t for my infertility and I know I wouldn’t have met all of the wonderful people in the infertility blogging community if it weren’t for my situation. I just hope we get to the end of the journey at some point. Every life experience shapes us, even though it’s hard to see sometimes. Tell us something quirky about you. I talk to my cats like they are people. What’s your favorite dish/meal? I love food! This is a hard question, but I love Vietnamese vermicelli bowls. So fresh and yummy! Who or what’s been your biggest influence throughout life? Hands down, my Mom. She is amazing, she is an RN and works in a heavy care nursing home and is the most compassionate and caring person I know. She is loving, funny and my best friend. My Mom had her own fertility struggles, she was married to my Dad at age 23 and didn’t have me until she was 39. She wanted 5 kids and ended up with only 1. But, she said she never gave up hope, she said she always knew she would have a baby. I admire her persistent positivity. Whenever I have a bad day, she is the first person I want to talk to, she always makes me feel better! Do you have a bucket list? If so, what’s the most ridiculous thing to do on it? I don’t have an actual Bucket List, but I would love to be in a Flash Mob. I love to dance! What do you do for a living? I’m a dentist. A dentist who loves sweets. Please don’t tell me you “hate the dentist”. Thanks Bree for asking such “thought-provoking” questions. I really had to think about a few of those. 10. Andrea @ Food. Travel. Life. Love. And here are my questions for you! If you could find out one celebrity was following your blog, who would you want it to be? Who do you tell your secrets to? Place you would most like to travel to? What is your favorite type of exercise? This post took a lot of thinking. It was nice to do a little self reflecting and to think about what I want to know about all of you. Please stop by the blogs listed above, it’s a great group of gals. And I’m sure some of you have more than 200 followers. Oops! Thanks again to Bree and Congratulations to those I’ve nominated for the Liebster Award. Happy Friday, have a wonderful weekend! The only thing missing from this definition is your name! Congrats Nikki! Thank you Ashley, miss you! Congratulations Nikki. 😉 Great answers and I love the questions! I came on here to say CONGRATULATIONS!!! and (blink) wow, thanks for your nomination! Congrats! I love these types of posts, always fun to read! Thanks for the nomination! You are sweet. Loved reading your answers to the questions. It may take me a few days to do my answers but I will do it! Thanks Cindy! I’ll get to it soon!